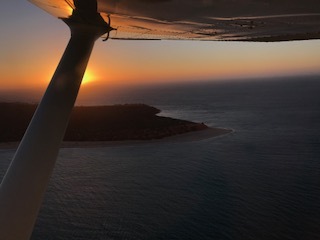 “Flight 3: - 40min SunSetter” This flight takes passengers to the very tip of Francois Peron National Park as cliffs glow red and orange in the late afternoon light and as the sun sinks over the sandy dunes of Dirk Hartog Island. 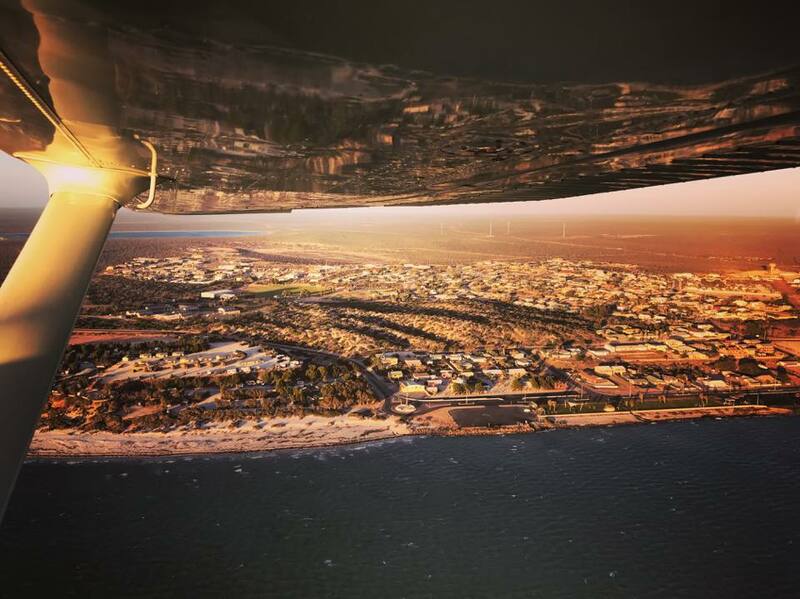 Although traditionally scheduled in the late afternoon, if preferred, this scenic flight can be arranged during the day on request. On this flight there are many opportunities to spot dugongs, rays, sharks, turtles, dolphins as well as other marine species in the crystal clear waters. Mangroves and fingers of sand spits mark our arrival at Guichenault Point. We then continue via Monkey Mia and cross a fascinating array of salt lakes which dot the landscape before our return home to Denham in the early evening.